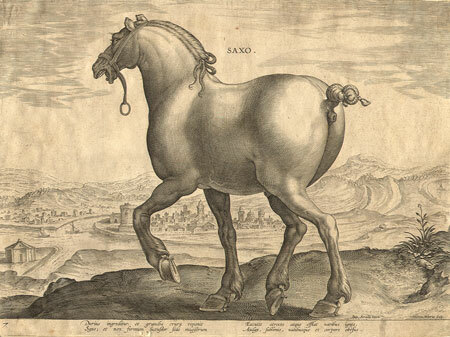 A Saxon Stallion from the rare and exceptional series of engravings of horses from the famous work Equile Ioannis austriaci Caroli V imp.f (The Stables of Don Juan of Austria / Le Haras de Don Juan d'Autriche) published in Antwerp in by Ph. 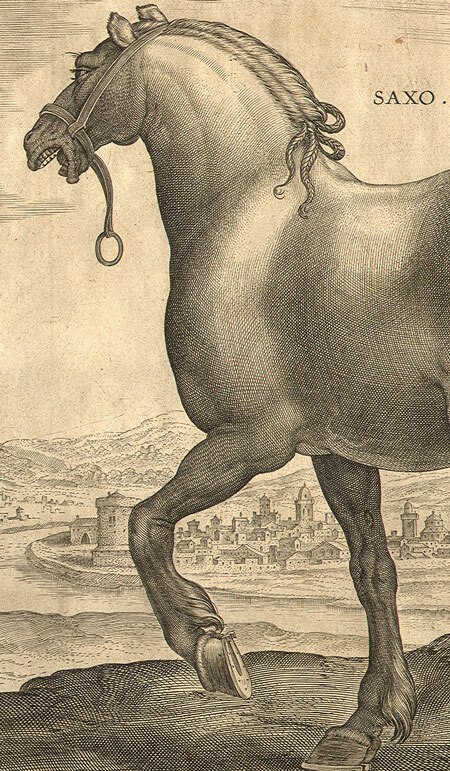 Galle, circa 1580. Condition: Cut to platemark. Reinforced with old paper on reverse. Light toning as shown. Small old worm track at bottom edge of sheet just below words. Very sharp clear impression. Handwritten number 7 lower left. 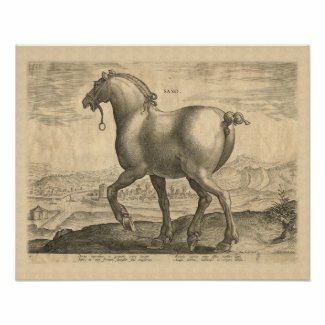 Also available as an reproduction poster in our shop on Zazzle. See below.